The Department of Defence has confirmed that an Australian airstrike or nearby Coalition airstrikes in the Al Shafaar neighbourhood of Mosul on 13 June 2017 may have caused civilian casualties. 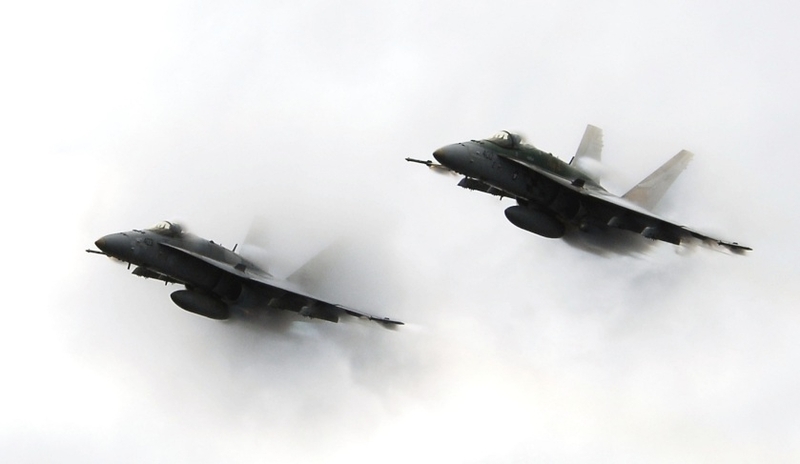 Chief of Joint Operations, Air Marshal Mel Hupfeld, said the Australian strike was requested by Iraqi Security Forces (ISF) and was in full compliance with the law of armed conflict and applicable rules of engagement. “The Australian Defence Force takes all feasible precautions to minimise the risk of civilian casualties,” AIRMSHL Hupfeld said. The strikes occurred during ISF operations to retake West Mosul. Daesh were attacking ISF positions and fleeing civilians with a combination of small arms, heavy machine guns, mortars and rocket propelled grenades. The ISF identified three enemy personnel in a building and four enemy personnel in the adjacent courtyard, armed with heavy weapons. “Based upon the proximity of the enemy to the Iraqi forces, the nature of the target and the circumstances of the fighting in Mosul at the time, I can confirm that this action complied with Australia’s rules of engagement and the Laws of Armed Conflict,” AIRMSHL Hupfeld said. Post-strike assessments confirmed the 500lb precision-guided munition struck the intended target and achieved the effect desired by the Iraqi ground commander. AIRMSHL Hupfeld said that while there was no specific intelligence to indicate civilians were present at the targeted site, it was impossible to be sure under the urgent circumstances facing the Iraqi forces at the time. “There is a degree of uncertainty surrounding this incident. We know that the Australian strike does not precisely correspond with the information provided in the claim; however, it was close by. We do not definitively know how these people were killed,” AIRMSHL Hupfeld explained.